Welcome to the past! This is the game for archers. Are you one of them? Well, here you have a great chance to learn it. Just use all hints and hit as many targets as possible. That is why, we need not only the archer, but the person, who is not afraid of any obstacles. Have fun! This is a medieval themed sports game, where you will tests your marksman skills. And do you actually have what it takes to be the best archer? Just steady your hands, steel your nerves and may your arrows always hit the target in this race against time! There are a lot of targets, so try to hit all of them and get more points for that. It is so easy! 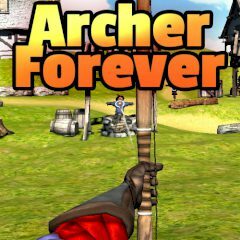 Just try it and be the real archer. Could you believe that? Duh! We know that it is not so difficult for you. That is why take your bow and shoot! Everything depends on you now.